Dust off those cartridges and enjoy the classics in high definition on your modern TV. We provide modern, HDMI solutions for your retro gaming needs. 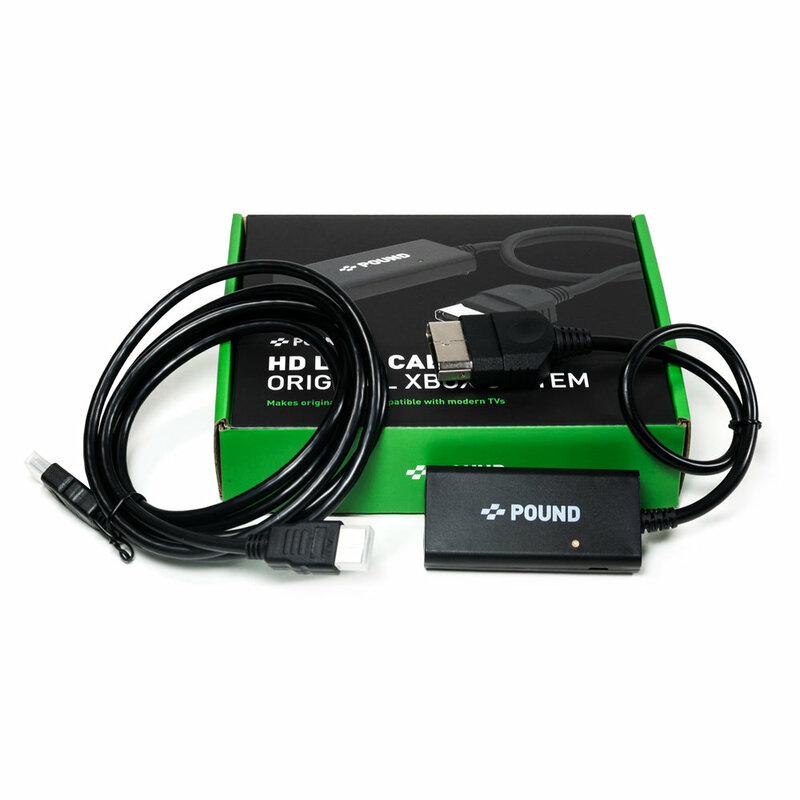 Pound Tech's inaugural product, the HD LINK cable for the original XBox will allow you to enjoy your original XBox on modern televisions with HDMI inputs! No system boasts a library of games better than the Playstation 2 (PS2) and now you can finally get your old system connected to your brand new television with stunning high definition video quality. Play your PSX or PS One using the HD Link cable for the Playstation 2! 80's and 90's classics like Mario Bros., Mortal Kombat, and Pac-Man laid the groundwork for the gaming industry as we know it. We wanted to relive our old favorites, but were sorely disappointed in their compatibility with today's high-definition TVs. We set out to create a simple solution to bring old games to the modern age.